Do you want to know how to create blog for free.? Well, blogger is the best choice to create a blog. A blog is the best medium to impress someone through your writing skill. This is also best for earning money. Yes! You can easily earn money thought about Blogging. You should know KuchJano.com is also a blog where I update what I learn. But this is paid blogging. But in starting you should choose free blogging areas like blogger.com and wordpress.com . 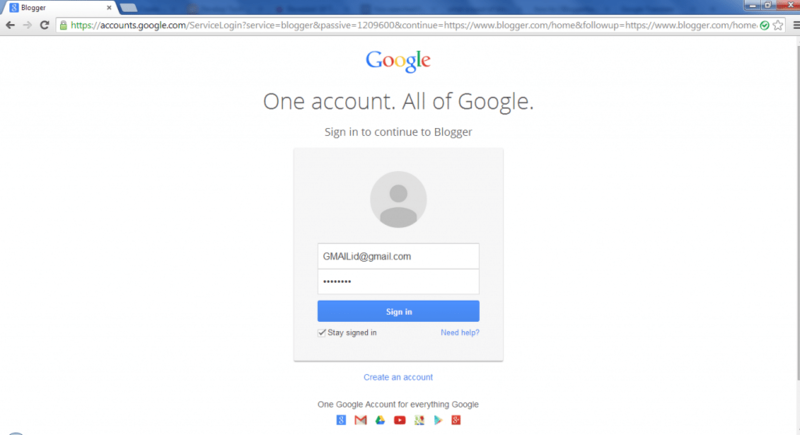 In this tutorial, I will tell you how to create blog for free, account in Blogger.com to blog. Why I prefer to Create blog on Blogger.com for blogging? There is much free blogging area where you can write blog as like blogger.com, wordpress.com etc. Both are best for blogging. But I highly recommend you to use blogger.com if you want to earn money in feature 😉 Really Many blogger earn big amount using this free blogging platform. And the main part is, Blogger.com is a part of Google. Blogger.com was started by a tiny company in San Francisco called Pyra Labs in August of 1999. But finally in 2002 blogger.com has been sold to Googe. Here I am giving you basic process to make a blog on blogger.com. Follow step by step and learn making blog. Firstly open www.blogger.com in next tab. 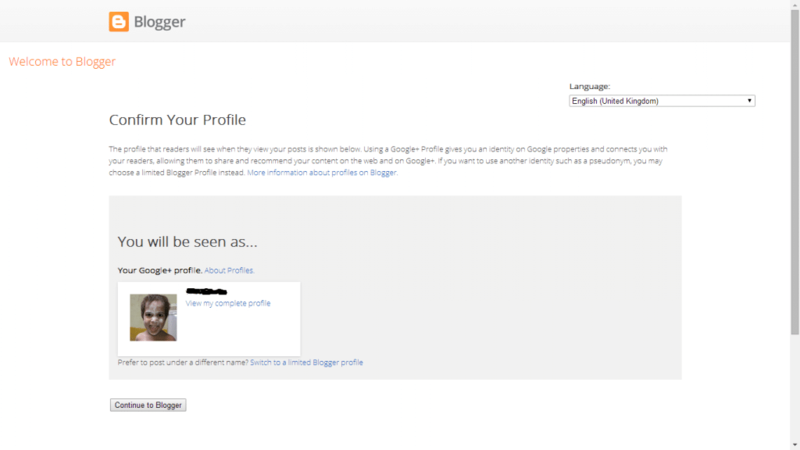 After login to your account hit on Continue to Blogger button. After Confirm Your account, You will see look like below image. Now Click on New Blog which is just blow to your profile picture. In next window, Type Title, Address(This is your blog name So choose it unique) and select the blog Template (This will be your blog design. You can change this anytime after creating blog). Check your details and hit on Create Blog. That’s Done. 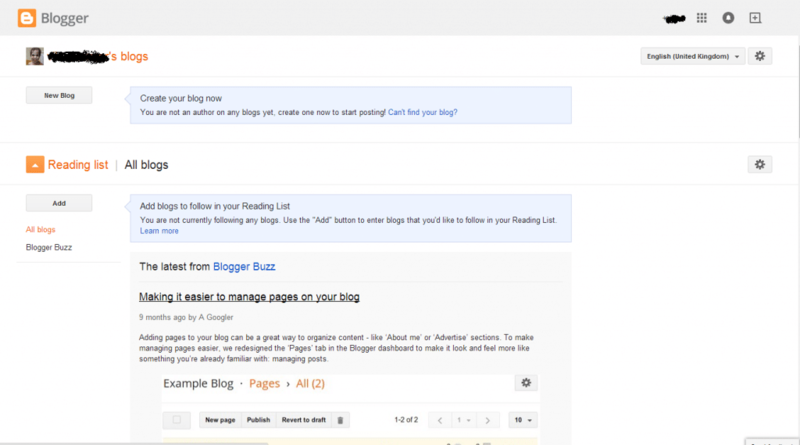 Now you have successfully Created your blog in blogger.com. Now do the click on Start Posting to post an article and Hit on View blog button to see your blog preview. I hope this article helped you in creating your blog. Now post at least 5-10 unique article to earn money thought your blog. If you have any problem in process then comment below.